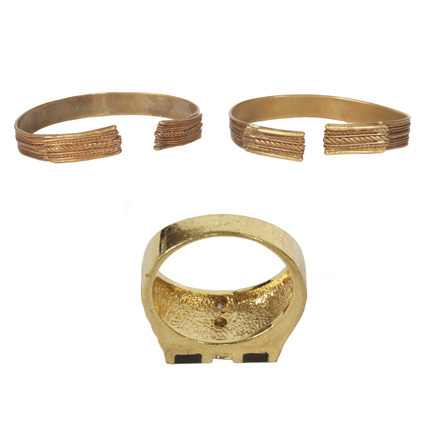 This prop watch, prop ring, and set of bracelets were worn by the character “Bernie Rose” portrayed by actor Albert Brooks in the 2011 motion picture “Drive” starring Ryan Gosling. 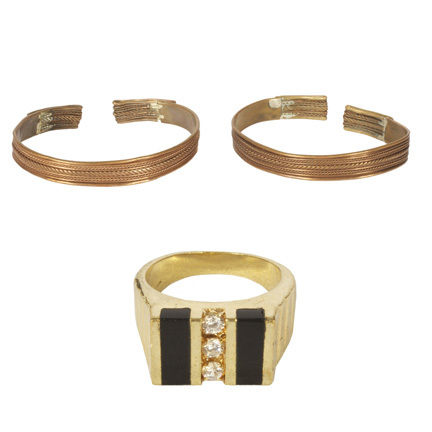 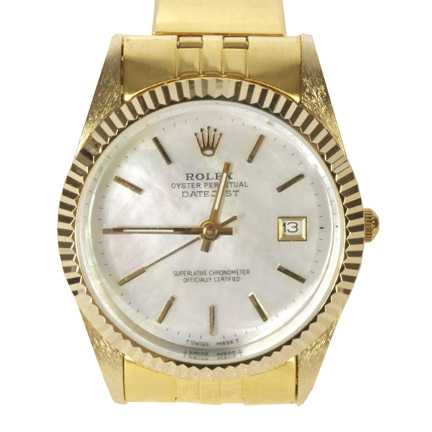 The items consist of a replica version of a gold Rolex watch with mother of pearl face and matching link band, a faux gold ring mounted with fake diamonds, and a set of two copper bracelets. 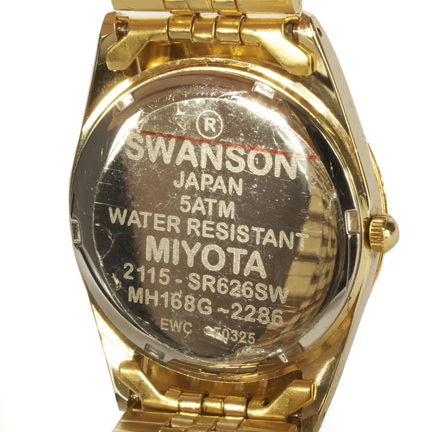 *PLEASE NOTE: This is a prop watch and may not be functional if batteries are added. 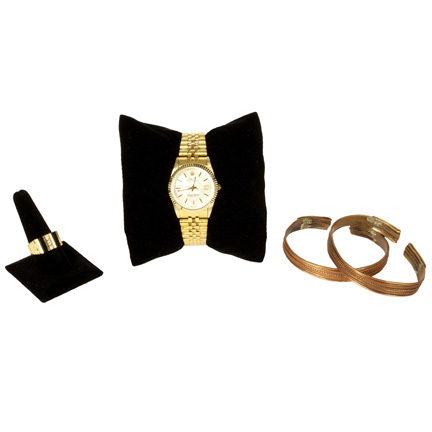 These were Bernie’s signature accessories worn with different wardrobe combinations throughout the film and helped create the thug’s flashy persona. 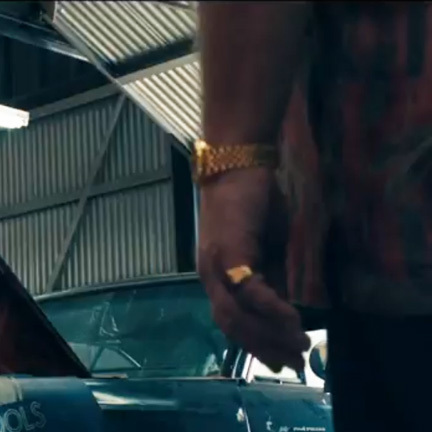 One of the bracelets was first seen in the pivotal scene where Bernie first meets “Driver” (Gosling) at the racetrack and extends his hand in introduction. 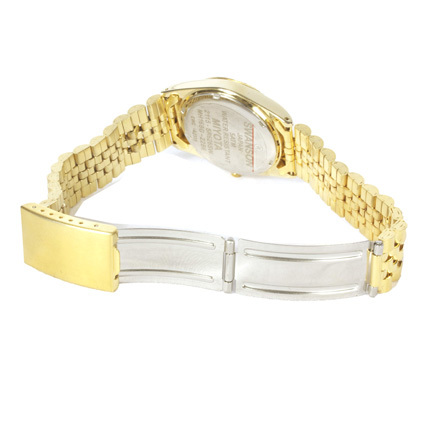 The watch, ring, and bracelet were worn in the scene at the garage when Bernie explains to Driver how he first met “Shannon” (Bryan Cranston), and in later scenes at Nino’s Pizzeria.